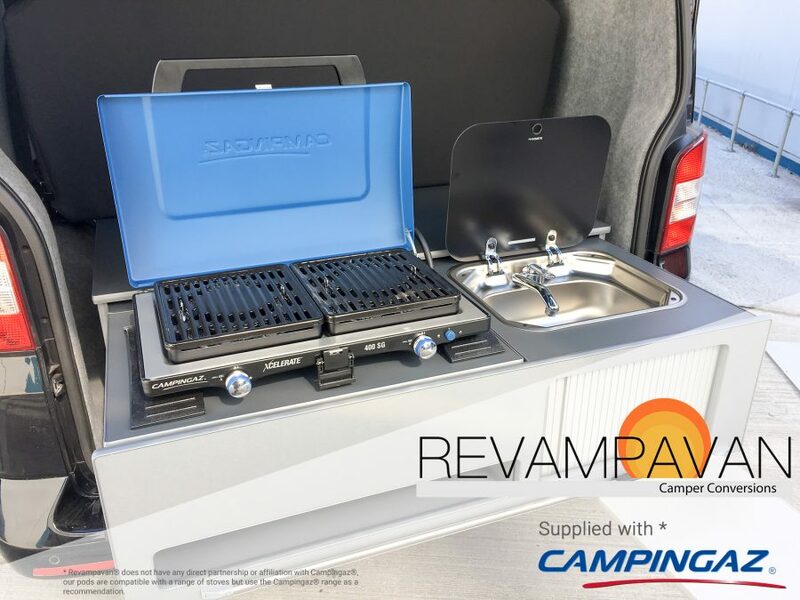 The Revampavan® BBQ pod utilises the latest outdoor stove technology thanks to *Campingaz®, giving you reliable cooking power in even the windiest conditions. 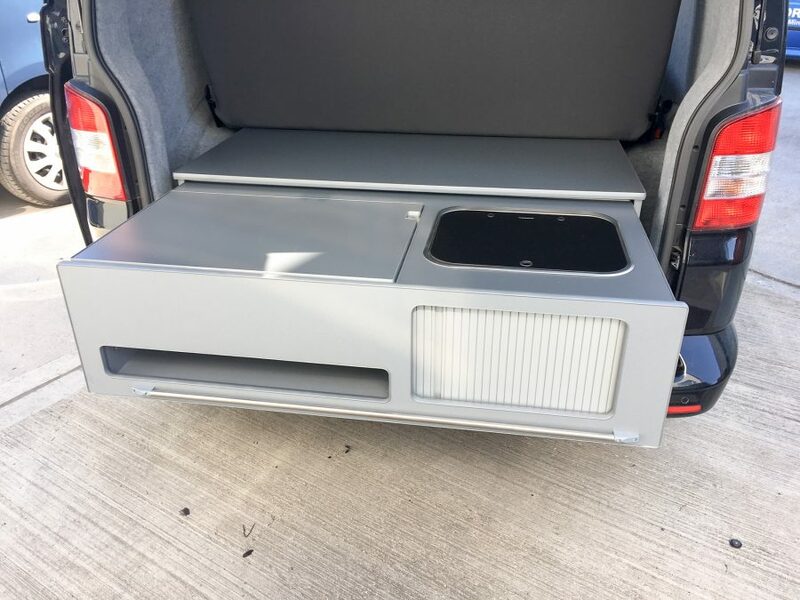 Our new range of removable pods are designed to fit neatly in the boot of your van, providing a convenient cooking station when on site. We can customise the pod to fit within most seat/van configurations as well as add a range of extras to suit your needs. The pods can be supplied without a stove for use with most ordinary camping stoves. Will it fit my van? 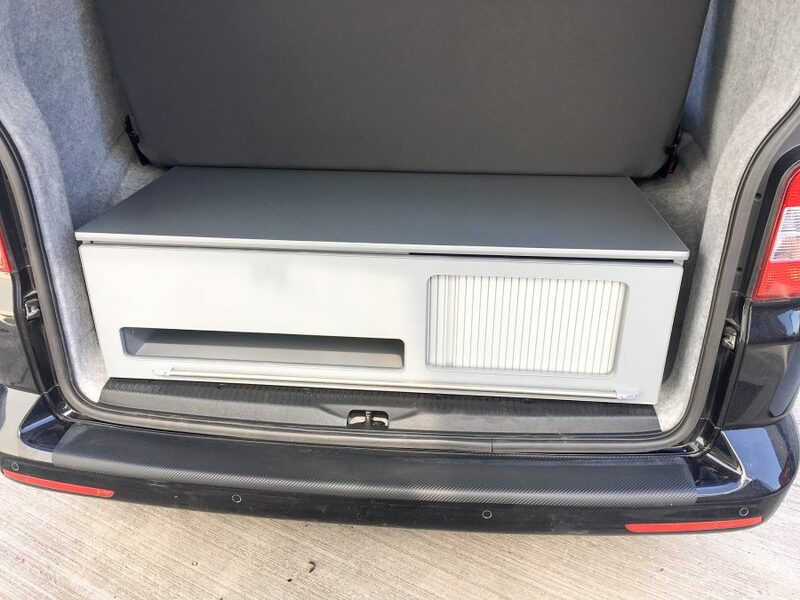 The standard pod is designed to fit in the boot space behind a full-width R&R bed, as such its dimensions are (WxLxH) 1200mm X 600mm X 340mm. However, we’re able to adjust it to fit within most vans. 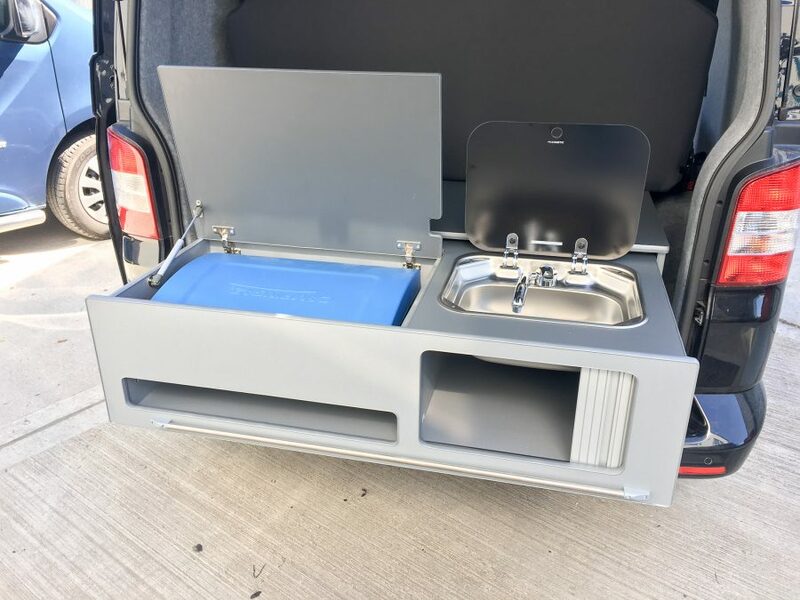 In our years of converting camper vans, we have always fitted a Smev hob/sink combination unit. These campervan units are excellent when used inside the van, however, these units can struggle in the lightest of winds. The stove we recommend also allows you to combine BBQ cooking with pan support via the removable attachments, giving you better cooking flexibility and by using a dedicated camping stove, such as the *Campingaz® you can also expect a strong and long lasting flame in windy conditions. Utilising a camping stove will also enable you to close the lid and carry the stove away from the van and onto the beach! The video below from *Campingaz® shows how their stoves cope in windy conditions. So you can see why we recommend them for use with our pods. * Revampavan® does not have any direct partnership or affiliation with Campingaz®, our range of pods are compatible with a range of stoves but use the Campingaz® range as a recommendation. This also means our views on Campingaz® are our own and completely independent. This entry was posted in Revampavan Life. Bookmark the permalink.